Want to spruce up your outdoor space with fresh flowers, plants, vegetables, and other succulents? Container Gardening For Dummies, Second Edition gives you clear, concise, and step-by-step instructions for cultivating charming gardens in everything from a redwood window box to a hanging basket to an old pair of cowboy boots. Featuring eight pages of full-color photos, this helpful guide fills you in on every step of the process, from working with different soil mixes to preventing insects, pests, and diseases to expressing style with color, form, texture, and other design elements. 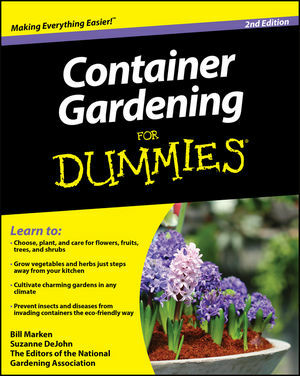 Container Gardening For Dummies, Second Edition is a fun, informative guide for inexperienced city slickers and savvy country cousins alike.